16 June 2006 CSIR Office Memorandum announcing "Scheme for setting up incubation centres in CSIR laboratories"
18 December 2006 Inauguration of Venture Center physical facilities at 100 NCL Innovation Park by Prof Sir Richard Friend in the presence of Dr RA Mashelkar and Dr S Sivaram; Inaugural "Innovation and Technology Enterprise Lecture Series" by Prof Sir Richard Friend, Cavendish Professor, University of Cambridge. 10 January 2007 Incorporation of "Entrepreneurship Development Center"; Dr S. Sivaram and Dr V. Premnath serve as Founding Directors; Dr S. Sivaram is Founding Chairman. 17 August 2007 Sanction order from DST-NSTEDB on "Establishment of TBI at NCL, Pune"
25 December 2007 Venture Center helps launch student club at NCL called NCL Technology and Entrepreneurship Club. 03 September 2009 Venture Center launches funding database; Funding database featured in DARE magazine as a cover story. 25 October 2009 Ministry of MSME approves funding under "Support for Entrepreneurial and Management Development of SMEs through Incubators"
12 July 2010 Venture Center wins approval for Proof-of-Concept Initiative from DST-NSTEDB. 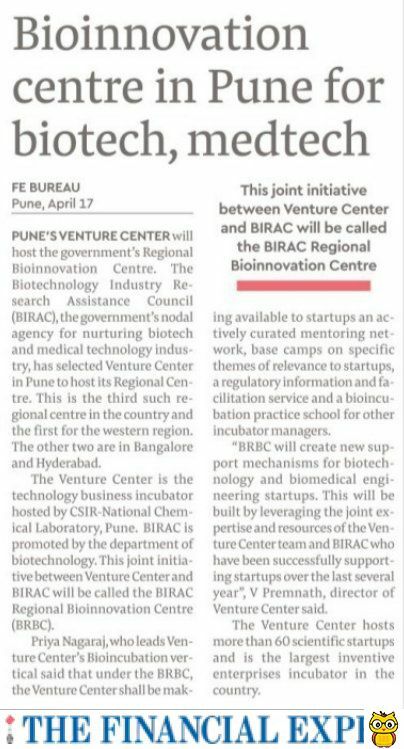 Venture Center is the only incubator from India to have such an initiative. 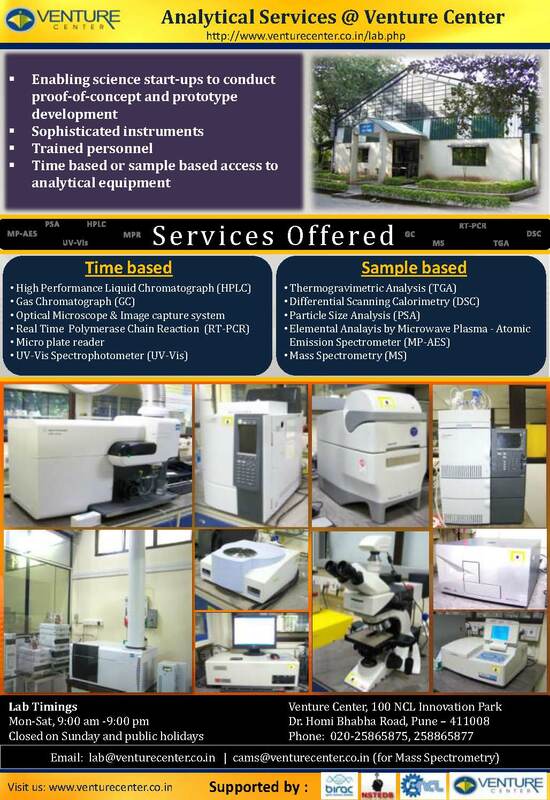 22 December 2010 Venture Center Lab Block completes procurement and installation of planned equipment under the TBI grant of DST-NSTEDB. 17 February 2011 Dr S. Pal takes over from Dr. S. Sivaram as Chairman of Venture Center�s Board of Directors. 28 March 2011 Venture Center receives approval for accepting foreign currency remittances under FCRA.